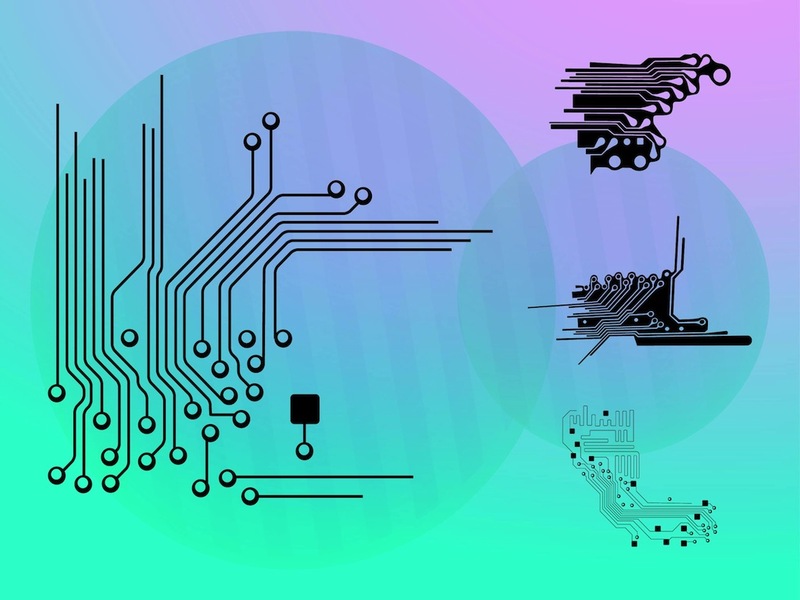 Vector graphics with different circuit patterns. Images consisting of circles, lines, squares and fluid abstract shapes representing the technology components. Free vector illustration for all computers, technology, tech, sci-fi, circuits design projects. Graphics to use in wallpapers, posters and stickers. Tags: Abstract Shapes, Circuits, Components, Computers, Modern, Sci-Fi.